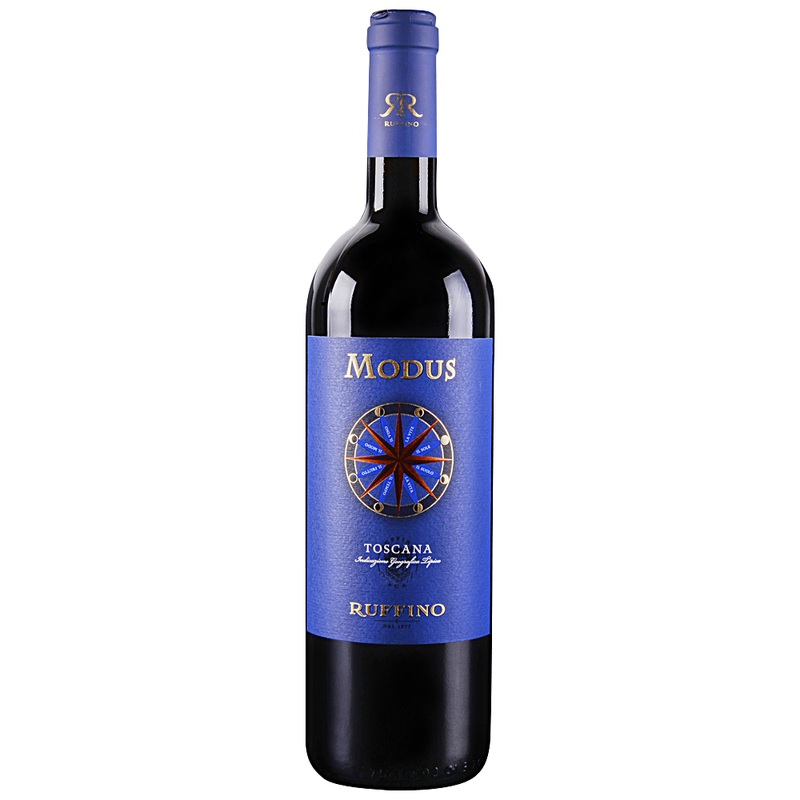 We source the grapes for Modus from Ruffino's Poggio Casciano estate and other selected vineyards. The three grape varieties that comprise its blend—Sangiovese, Merlot and Cabernet Sauvignon--are aged separately in small French and American oak casks for approximately 12 months before they are blended and bottled. Ruffino Modus draws on the power and structure of Cabernet Sauvignon, the sweet, juicy fruit flavors of Merlot and the rustic, sour-cherry tang of Sangiovese. This medium bodied red is firm but silky with blueberry, walnut and black tea undertones, fine tannins and a clean finish.